Grace D. Gipson is a doctoral candidate in the African American Studies program with a designated emphasis in New Media at the University of California Berkeley. Her area of research interests centers on black popular culture, digital humanities, representations of race and gender within comic books & graphic novels, Afrofuturism, and race and new media. Her current dissertation project interrogates the formation of a Black female superhero identity within comics and graphic novels through such topics as, African queer love, disability as empowering, coloring utopias/dystopias, promoting Black Girl Magic in STEM, and creating a new media legacy for Black female voices. 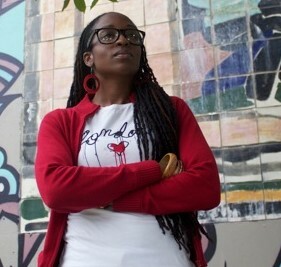 Grace’s work has been featured in various publications and book chapters in such outlets as Huffington Post, NPR.org, Black Perspectives and FCH Annals. Follow her on Twitter @GBreezy20.